In the Brainerd Lakes area, TPL led an effort to purchase a working forest conservation easement over 4,776 acres of prime forestland owned by the Potlatch Corporation. This land was vulnerable to the tremendous residential and commercial growth pressures affecting the Brainerd Lakes area. Today, the Brainerd Lakes Forest Legacy project ensures public access, prohibits development, protects habitat, and links together approximately 22,000 acres of public and conserved lands. 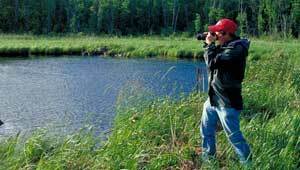 The Minnesota Department of Natural Resources was a partner in this project and now holds and monitors the conservation easements.